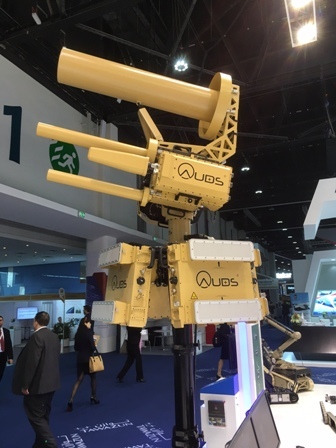 The AUDS Anti-UAV Defence System is currently being showcased at IDEX 2017. Blighter Surveillance Systems, Chess Dynamics and Enterprise Control Systems Ltd have teamed up to develop the AUDS (Anti-UAV Defence System) to detect, track and defeat malicious and errant unmanned aircraft systems (UASs) or drones. 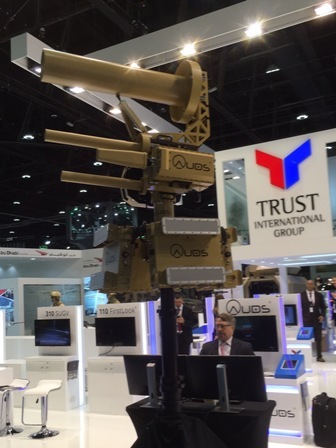 The companies are showing this field-proven system and other counter-UAS solutions with their UAE partner Trust International on Stand 11-C05. 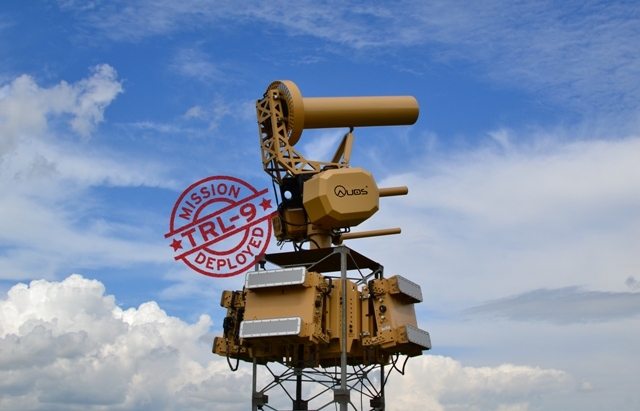 Following its successful mission deployment with US forces in the Middle East, the AUDS system has become the first fully integrated system worldwide to achieve TRL-9 status. 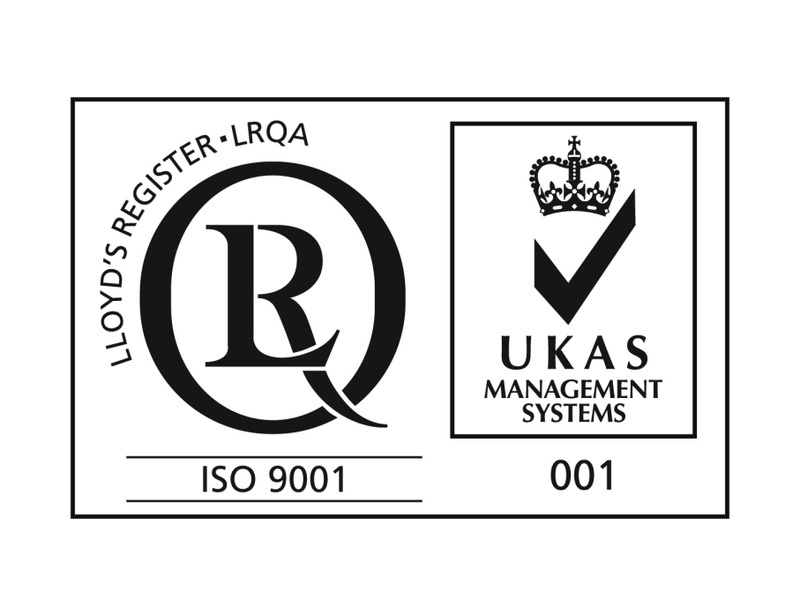 This is the very highest technology readiness level or maturity that a technology system can attain. According to Mark Radford, chief executive of Blighter, the system has been heavily evaluated and tested by military and government organisations over the past 18 months, consistently exceeding the mission requirements and providing ground and air surveillance against possible threats. It can detect a drone 10km away in all weather, day or night, using electronic scanning radar, and track it using precision infrared and daylight cameras and advanced video tracking software. It then disrupts the flight using a non-kinetic inhibitor to block the radio signals that control the drone. This detect, track, defeat process typically takes 8-15 seconds. AUDS is positioned at the strategic end of the UAS countermeasures market for use by government agencies, the police and military to protect high-value critical national infrastructure or strategically important sites/events. AUDS is also currently being evaluated by the US Federal Aviation Administration (FAA) for use at major US airports as part of its Pathfinder Programme. The AUDS team has also developed a range of new platforms – fixed, semi-permanent and temporary. These include a platform for the deployment of AUDS to the roof of a building; a field mast system for the protection of semi-permanent sites such as forward operating bases, air bases or army camps; and a system for rapid deployment purposes. For further information on AUDS please visit our AUDS Team page.